The universality of the Church is evident in Rome: the Synod of Bishops will continue October 28 where participants from five continents grapple with various topics related to young people, their needs and their problems. Against this backdrop, the pontifical charity Aid to the Church in Need (ACN) has spoken to a number of young Christians in Syria. They explain what it means to them to be Christian and what they expect from the Church in their country, where they are a threatened minority that has been suffering from war for over seven years. 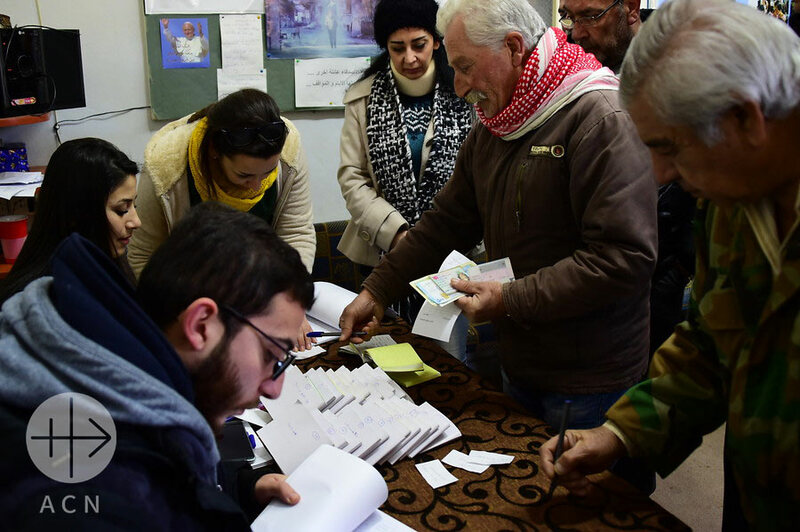 Syria, Marmarita January 2016 – Medication prescriptions and renting houses. 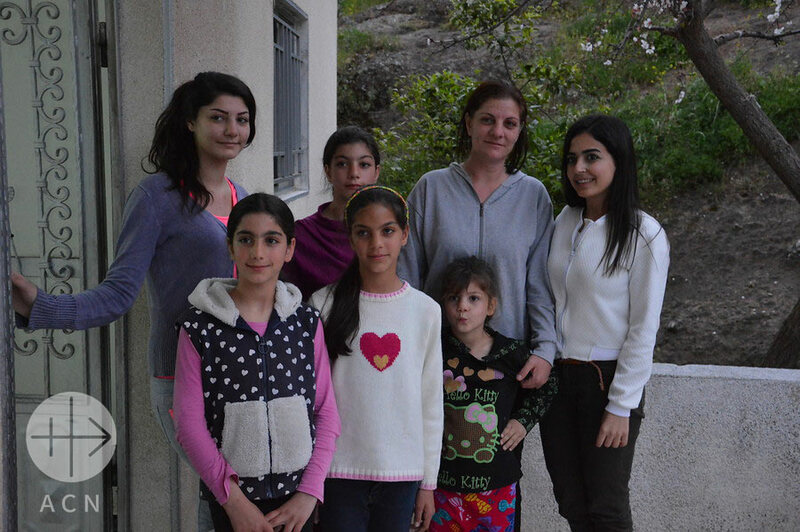 Majd Jallhoum, secretary of the Saint Peter Relief Centre, photographed with a displaced family in the Valley of the Christians. Majd Jallhoum (first from the right), secretary of the Saint Peter Relief Center, with the group of volunteers of the Saint Peter Relief Center. There are also Christians still living in Homs, the third largest city of Syria after Damascus and Aleppo. They are found mainly in the old city of Homs, in the oldest quarter located at the foot of the ancient citadel. About 300 students gathered there in the recently reconstructed Melkite cathedral “Our Lady of Peace” to celebrate the Eucharist. 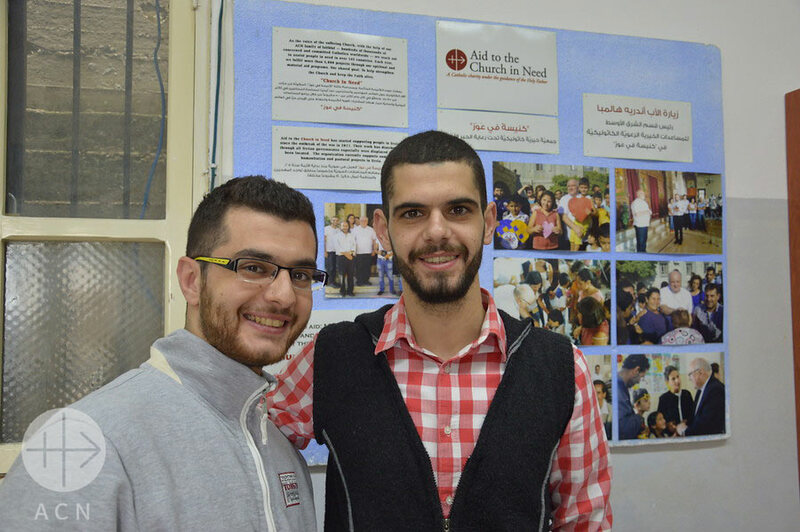 From right to left, Hanna Mallouhi and his brother Raja Mallouhi, inside St. Peter Releaf Centre in Marmarita, Valley of the Christians, Syria. University students supported by ACN in Marmarita, Syria, in order to transport to Homs for continuing their studies. 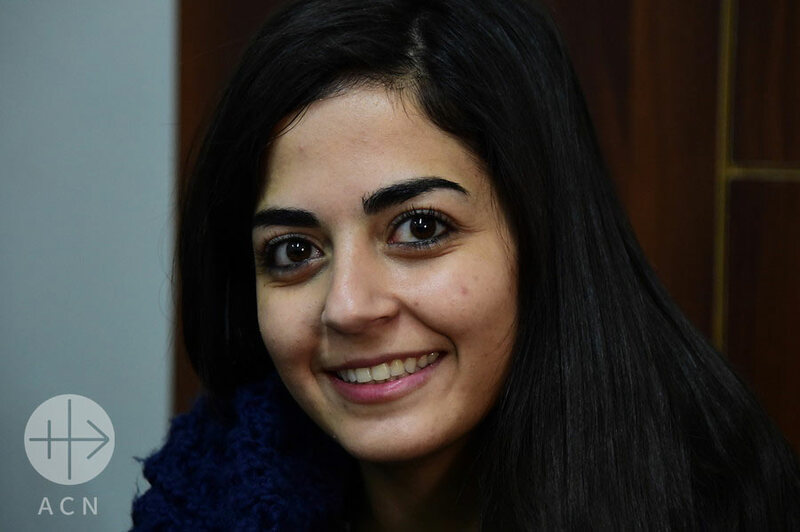 The testimony of these young people from the Christian community in Syria, a minority which has suffered a lot in the course of the armed conflict, can be an inspiration for others. According to the Syrian Church 1.5 million Christians were living in the country before the war. At present, there are only about 500,000 Christians. 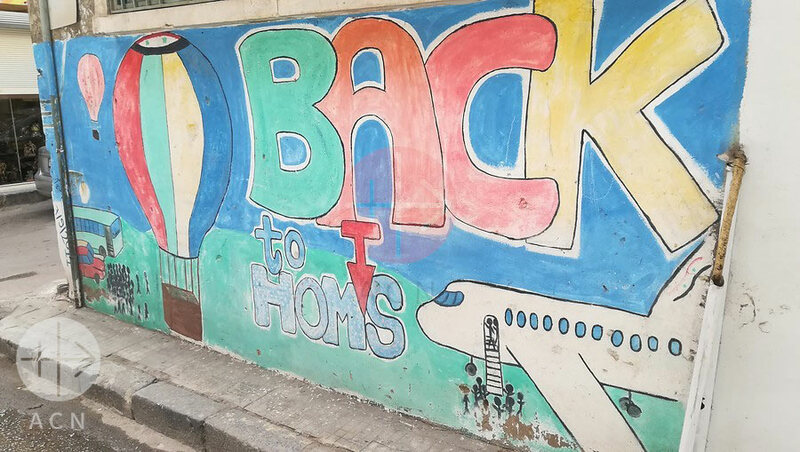 The uncertainty, the violence and the threats from jihadi groups such as the so-called “Islamic State” have led to an unprecedented wave of emigration. ACN supports numerous projects for children and young people in various cities in Syria.